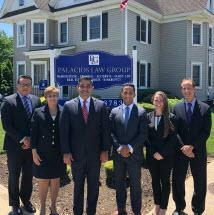 No matter the legal issue affecting your life, your livelihood or your future, you can turn to the legal professionals at the Palacios Law Group in Bay Shore, New York, for the exceptional, personalized representation you deserve. When you choose the Palacios Law Group, you will work directly with an experienced, local attorney who is totally devoted to helping you resolve your conflicts and achieve the positive results you seek as efficiently as possible, thereby saving you time, money and stress. Our diverse team of legal professionals possess decades of combined legal experience and varied backgrounds that make us well-suited to handle a wide range of legal matters no matter the circumstances or complexities involved. In addition, our law firm utilizes the latest in legal technology and our attorneys stay abreast of the most recent changes in the law to provide a level of service and support that other legal practices simply cannot match. To begin receiving the personalized counsel and aggressive advocacy you deserve for your legal challenge, you can contact our law office to schedule a free initial consultation.